Artificial nature that silences and allows recovery. Several research reports, including Exeter University in Great Britain, show that nature is the best place for recovery. We need to see nature, and preferably stay in it, to feel good. Nature also provides the best acoustic environment. However, the interesting thing is that the brain records artificial nature in the same way and provides the same calming effect. Despite all the information about the importance of nature in the workplace, plants are often not prioritized in the projects. Care and advanced technology for larger plant walls feels complicated and costly. From all this, the idea of JungelWall was awakened. 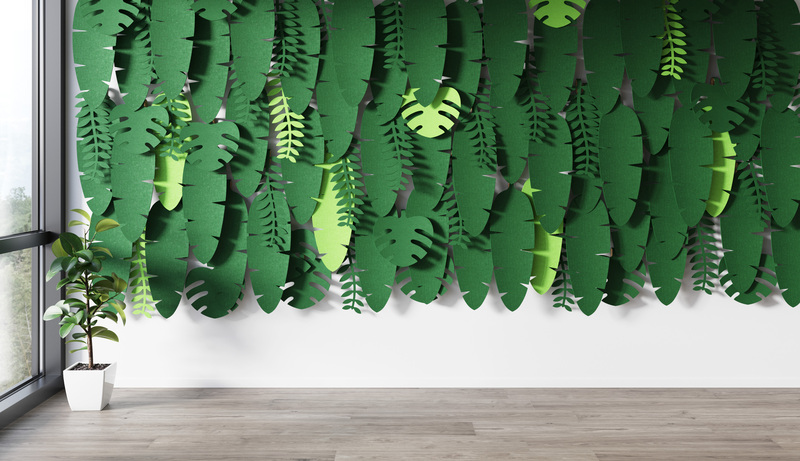 JungleWall is a series of sound absorbent leafs in different patterns. 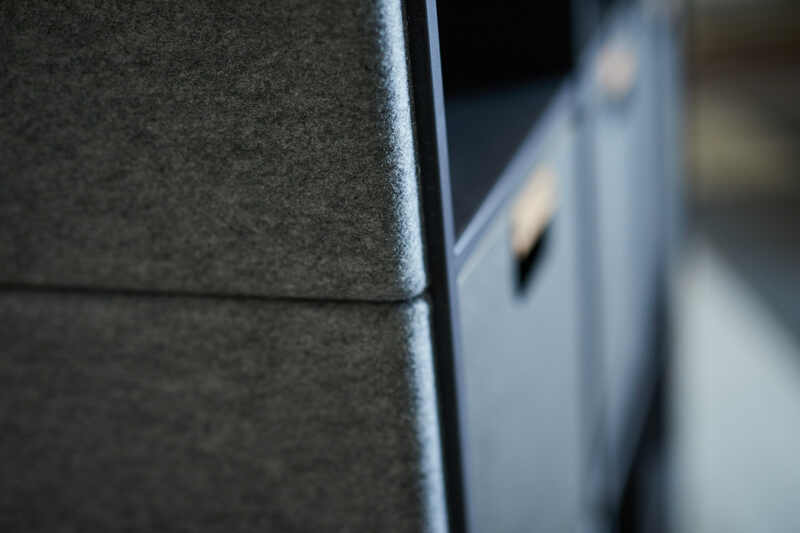 The material is made of felt and the leafs can be mounted in a way that creates a distance to the wall. “It was important to experience a natural feeling in JungleWall, hence the distance between leaf and wall that provides a interesting movement in the leafs,” says Niklas Madsen at Superlab. In addition, the material in JungleWall, along with the distance to the wall, creates a good prerequisite for sound absorption. JungleWall is advantageously used in large quantities in a workplace / public environment like a background wall.